Product #5877 | SKU P5 | 0.0 (no ratings yet) Thanks for your rating! 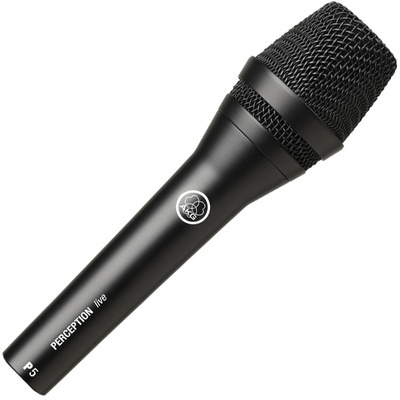 The AKG P 5 Dynamic Microphone is affordable and built to capture vocals and instruments in live performances, rehearsals and project studio recording applications. The P 5 features a supercardioid polar pattern for maximum gain before feedback. Additional features include an internal protective windscreen and all-metal construction.